A new gesture and motion smart home controller launched via Kickstarter this week which has been developed by a team based in the UK, who are looking to raise £20,000 over the next 30 days to make the jump into production. 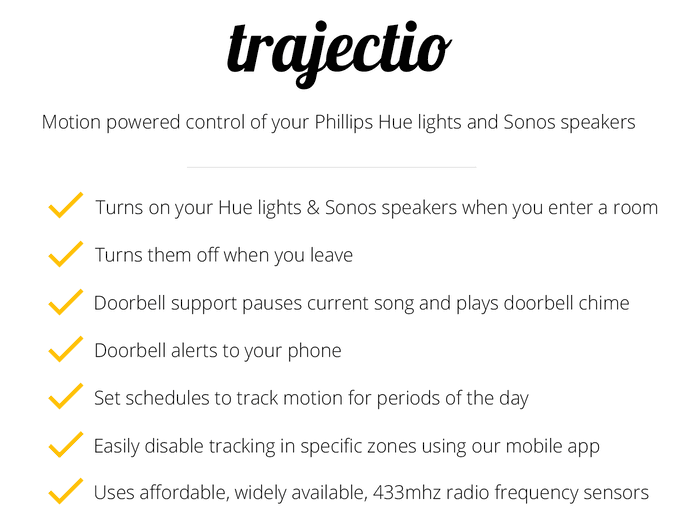 Trajectio is a motion powered home automation using widely available sensors to detect motion and turn on your Phillips Hue lights and Sonos speakers. Trajectio is now available to back via Kickstarter from £99 with delivery expected to take place during October 2017. Check out the demonstration video below to learn more. 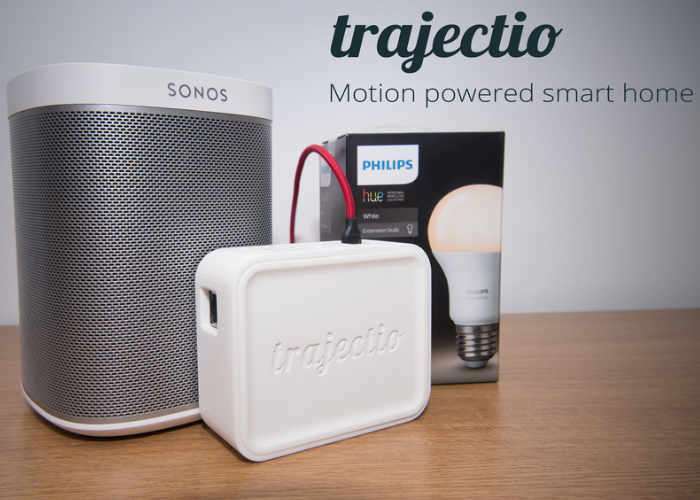 Trajectio started as a home project to overcome an awkwardly placed light switch and get more out of expensive home smart devices already purchased. After realising its impact, I’d love to bring Trajectio to your home too. I am currently on a sabbatical from my role as a Technology Consultant and as you have seen in the timeline, have been working on Trajectio during my spare time for the last 16 or so months. For more information on Trajectio and all available pledges jump over to the Kickstarter crowdfunding website via the link below.